Nasheed returned to the country after his former deputy President Ibrahim Mohamed Solih won an unexpected victory in September presidential elections for the MDP. Yameen had barred Nasheed from contesting. Preliminary results from Saturday's election showed the MDP winning 50 out of the 87 seats, while private media reports projected the party eventually getting up to 68 seats. 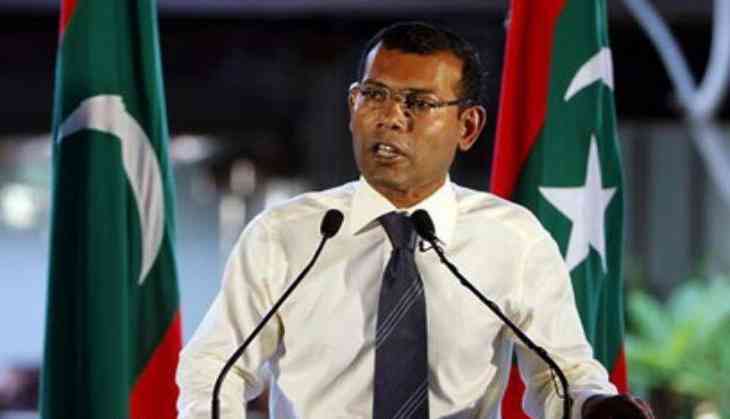 "The Maldives is about to welcome a new dawn, a golden yellow dawn," Nasheed told his supporters in Male on Saturday. Yellow is the colour of his party. Election officials estimated the final turnout to be between 70 and 80 percent, down from the 89 percent recorded at the September presidential election which unexpectedly toppled Yameen. Nasheed, now set to take over the leadership of the legislature, has promised to turn the country into a parliamentary democracy by scrapping the executive presidential system adopted under political reforms in 2008. President Solih said in a statement that the MDP had "secured a huge majority in Majlis (parliament)". "While we celebrate, we must also not forget the immense challenges that lie ahead of us," he said. Solih campaigned for the MDP asking voters to return a parliament that could work with him to deliver on his election promises in September to investigate corruption under Yameen. While Yameen was not a candidate, his Progressive Party of Maldives was seen as the main challenger to the MDP -- but ended up with a poor showing, and is projected to get only four seats.